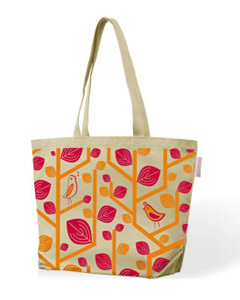 Reusable totes are a great alternative to plastic. | Photo Credit: www.modernest.comToday, take a stand and ditch your plastic bags in honor of Philadelphia’s “Bag the Bags” day—a campaign for a city-wide ban on those pesky plastic grocery bags. The bill to outlaw plastic bags was first introduced in 2009, but denied. Chemical companies and bag-supporters argued that with mandatory recycling programs and a public education campaign, Philadelphia would be able to yield the same result. With no follow through on the 2009 claim to minimize plastic bag pollution, Green Philly Blog has started a new petition. They hope to join other cities, like Washington, D.C., that have found success outlawing plastic bags. Green Philly Blog hopes to have 1,000 signatures by the end of the day.